I have heard about the No-Knead Bread craze and should have gotten on the bandwagon a long time ago but for some reason, I postponed and postponed. I was still scared of using yeast. However, I have wanted for the longest time to make homemade bread for the kiddos as I feel the store-bought ones are tasteless, not very fresh and often not very healthy. Besides, my kids love to have sandwiches for lunch so this finally motivated me to attempt making homemade bread. Now this particular bread was originally meant to be a basic white bread loaf for their sandwiches. However, while we were handling the dough after kneading it in the mixer, I wasn’t entirely sure it would form nicely into a long loaf. My kids wanted to help making this bread so I allowed them to do so. They helped punched the dough to remove the air pockets each one taking a turn. Below you can see my son’s hand punching the dough. 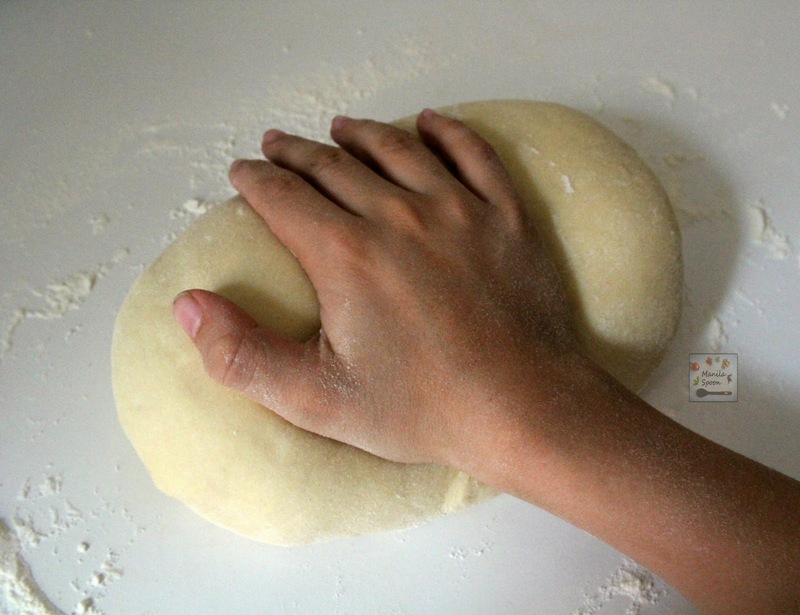 We were truly having fun doing this but then I started thinking, what if we had over-kneaded the dough? My fear on making yeast breads was creeping in again and I thought this bread would be a disaster. I then decided I should just make it into a round loaf and follow the baking techniques of using high heat for artisan breads. That might work, I thought. I just tried my best to form the dough into a ball and carefully tucked the folds underneath. At this point I really didn’t know what I was doing but I didn’t want to throw the dough away. We allowed the dough to rise for another hour. At this point I wasn’t even sure it would rise again. But after an hour or so it did! I carefully made a few slashes on top to give it that rustic look and then placed it in a preheated oven to bake and then prayed that everything would turn out fine. In the meantime, I fully breathed in the delicious aroma of the bread wafting into our tiny apartment as it baked. After the required baking time was over, I was almost scared to look at it as I imagined it to be a disaster. But when I opened the oven I was greeted with a delicious looking bread and I almost couldn’t believe my eyes. It came out so nicely! Now, the next question is – what about the taste? Well, first of all we had to exercise self-control when the bread came out of the oven as we all wanted to have a piece of it as it looked so yummy! Finally, when the bread felt lukewarm already and I can no longer contain the kids’ excitement, we took a slice….and then one more and another one and before we knew it….half of the bread was gone. It was truly delicious – a little crusty on the outside but tender on the inside! My boy especially loved it and made me promise to save him a piece or two for tomorrow. Eventually, after a few more adjustments we baked it into a long loaf and this bread has been used to make sandwiches for the kids’ lunch box a few times already. Recipe on this will come soon. I am just glad that my first attempt at making bread didn’t turn out to be a disaster. Surely, if I can make homemade bread anyone can. I know I need more practice and has a lot more to learn but I have started conquering my fear of making yeast bread and now I am quite enjoying it….and thankfully, my family, too. 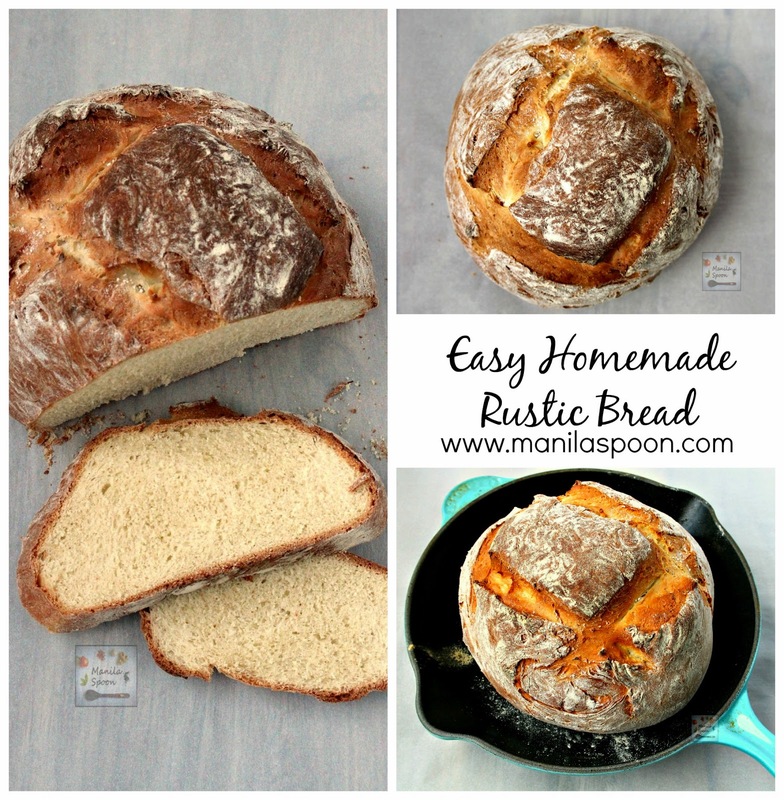 An easy and delicious recipe for homemade rustic bread even for the most inexperienced baker. In the bowl of an electric mixer with a dough hook attached, mix the flour, water, milk, sugar, yeast, egg yolk and butter on low speed for 3 minutes. Continue to knead at low speed for another 12 minutes while slowly adding the salt. While the machine is running, sprinkle a big bowl with flour and set aside. When the kneading time is up, transfer the dough to the floured bowl and cover with a plastic wrap. Let rest for 2 hours. The dough should rise really well and double in size. Place the risen dough in a floured surface (or a floured parchment paper for easier transfer later) and punch with the palm of your hand to remove air pockets. Form the dough into a ball tucking the ends underneath. Don’t worry all the loose ends will come together during resting and baking. Let it rise for another hour. Preheat the oven to 450 F for 20 minutes and place either a baking/pizza stone or a cast-iron skillet on the middle rack and an empty metal tray (like a broiler tray) on the lowest rack. The baking stone and empty metal tray should be in the oven while it is heating up. Dust the top of the dough liberally with flour and make a few slashes about 1/2-inch-deep using a sharp knife. You can make your own pattern. When the 20 minutes is over, carefully slide the dough to the preheated skillet or baking stone. Pour 1 cup of hot water (I just got some from the tap) into the broiler tray and quickly close the oven door to trap the steam. Bake for about 30 minutes or until the crust is brown and firm to the touch. Let the bread cool completely on a wire rack before slicing. Enjoy with a spread of butter or use this for making the perfect sandwiches. Recipe adapted from Artisan Breads and Pastries by Avner Laskin. This looks delicious Abby and can't smell you bread from here! I love your photography! Your bread looks delicious! I would love to lather up a big slice with peanut butter! Great to see your blog again (it's not a coincidence I keep coming back – it's awesome!) 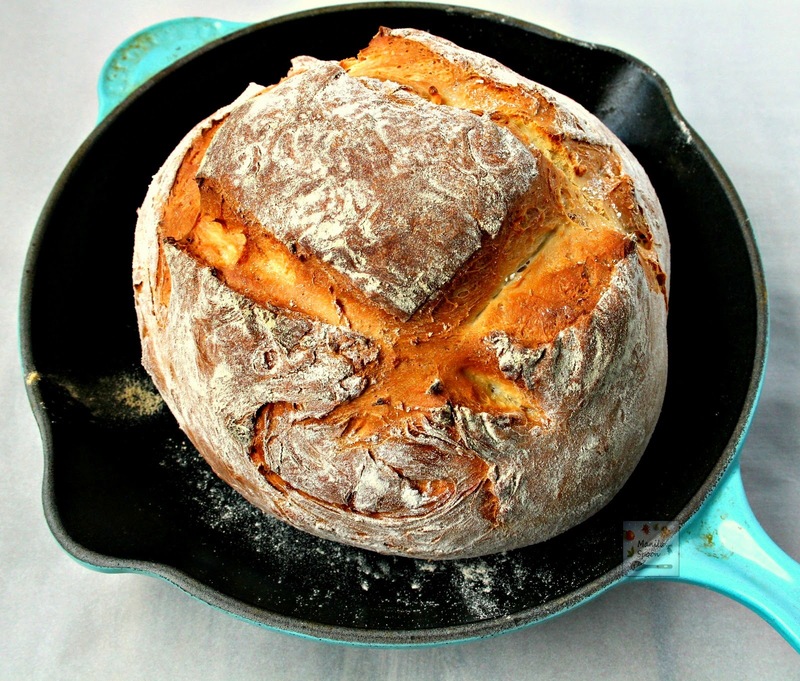 Love the smell of homemade bread and this rustic bread looks especially awesome!! Thanks for sharing the recipe Abigail! Such detailed step-by-step photography too! Wow, I never realised that this rustic bread isn't TOO difficult to make- It's always one of the more impressive looking loaves! There is nothing like the smell of homemade bread in the oven! Thanks for the recipe! This looks so pretty, like an artisanal bread you would buy at the bakery! Love! It looks perfect! I haven't made bread in far too long. Saving this, thanks! 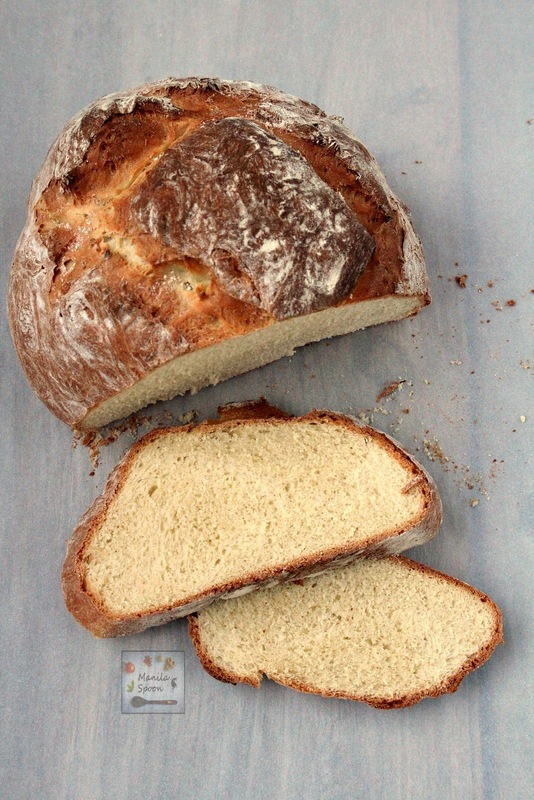 I love homemade bread since I realized it is quite easy to make. This one is so marvelous – you can see the freshness. I can imagine it in many great combinations. Thumbs up! What an amazing loaf of bread, so rustic and comforting!! That crust looks so good and so moist inside. Bread perfection. Bravo! What a great success for your first yeast bread. It looks so good I want to butter a slice right now. Fantastic out come! Sharing this fab recipe now! Uwi na kayo dito, mag Bakery na lang tayo! That crunchy, browned crust on top is all the money! 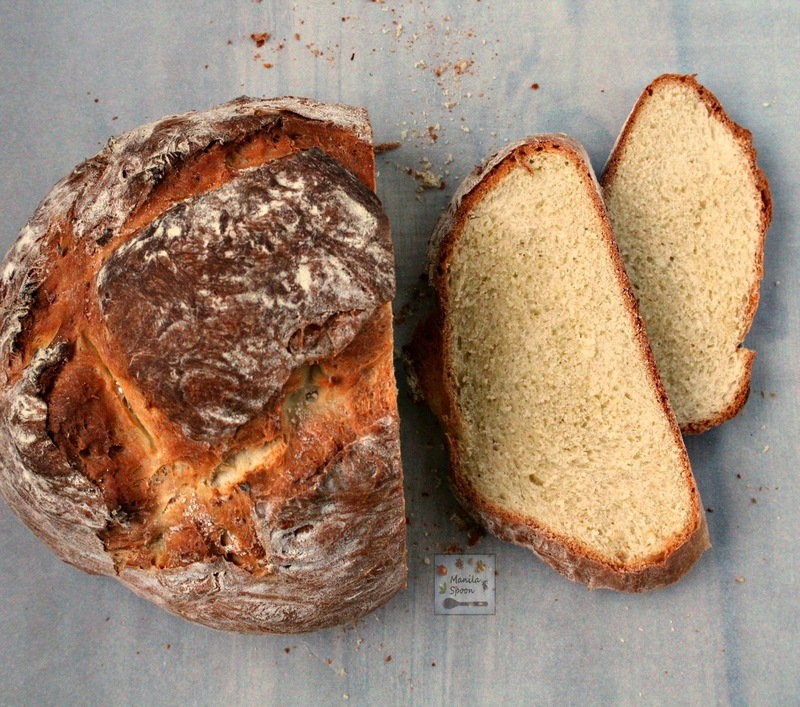 There's nothing like homemade bread. Yours looks wonderful Abigail! We make our own homemade bread too and it is just the best smell in the whole wide world. 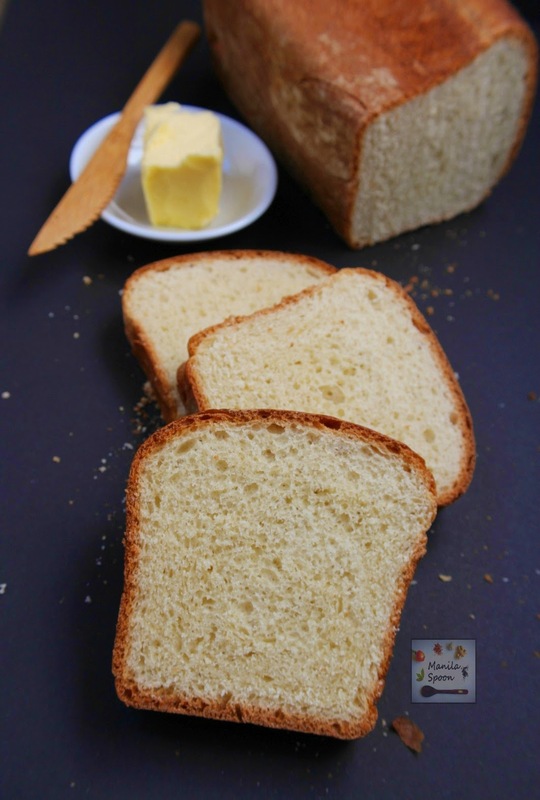 I absolutely love making homemade bread and your recipe looks just lovely! I love making bread and your loaf looks perfect. What a gorgeous crust and soft interior. Lovely! 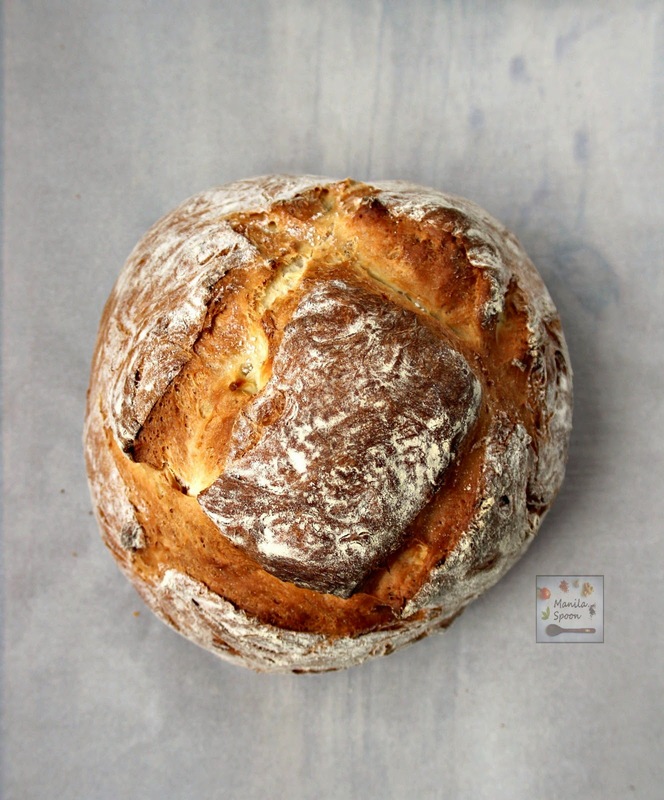 I am absolutely loving the shape of the loaf as you made it, and clearly those big incisions in the dough made a huge difference in having it come out in its beautiful rustic shape! I bet your house smelled so wonderful while this bread was baking!! It looks and sounds amazing!! This is beautiful! You did a great job! And I never would've guessed that it was your first time making bread! Great work! Abby, Like Cyrus, I fell in love with the shape of the round bread, with it's square cuts. I could almost smell it through the screen and can't wait for the sandwich bread version. Like you, I'm a bit afraid of yeasted breads, so you are giving me courage. No-knead, here I come. Oh wow, this is just gorgeous – absolutely flawless. I just want to reach in and tear off a big hunk to eat with mature cheese. Yum. beautiful loaves of bread! this looks perfect! Where we live it is cold! After 2 hours the bread did not rise. I had to take matters into my own hands! Heated the oven to 200 degrees. Turned it off set bread inside. Left the door cracked. Now it is starting to rise…delay of game!! We shall see how it turns out. I would recomend when making the bread (in a cooler climate) to make sure the egg yolk, is also at room temp. Then warm the milk and water a bit as well (take the chill off). I will try this next time and post about the results. Yes, the temperature does affect the rising of the bread as it should be in the warm area of the house especially during winter. Hope it turns out well.